This morning was a glorious morning in the Squirrel household. Why? With all the phones, ipads, computers, and clocks in the house- not one alarm could be heard in these halls! Even the pooches slept in this morning as if to say, "Hey guys- this is our gift to you!" Sleeping in is a wondrous thing- but sleeping in on a weekday is purely magical! I did a little laundry and planned some baking for later in the afternoon, but my main focus was to finish an idea that struck me a couple of weeks ago! And after a couple of hours all alone in "comfy chair" with my laptop, I was able to finally finish! One of the big focuses for our firsties last year was to build fluency for facts to ten. Having that practice at the tip of your fingers at any given time would be a great asset. After I remembered a different ringed product that I made a couple of years ago, I was struck by the thinking bug! 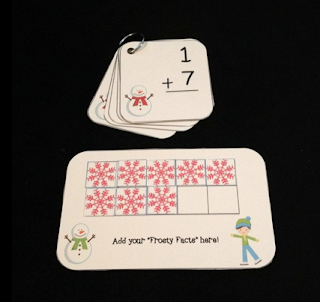 Why not put those math facts at my fingertips, too??? 1 to 1 interventions- but most of the time it was in the line heading to lunch or waiting to get into PE. They loved being able to "Whisper Yell" the phrases. We kept the rings on hooks by the door and they would be so excited to be the first one to the line quietly so they could be the one to carry and hold it up! 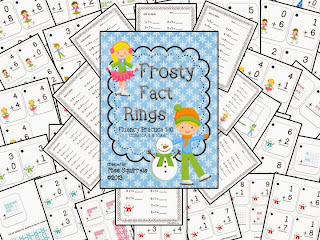 And that is what inspired me to create these Frosty Fact Rings! These rings can be used in whole group, small groups, 1 to 1, in centers, and at the front of the line! They can be grouped on their rings according to addends or sums! 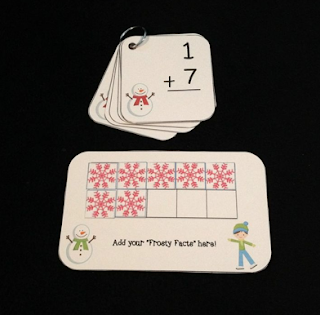 And each set of facts has matching cards with ten frame addition for visual learners! 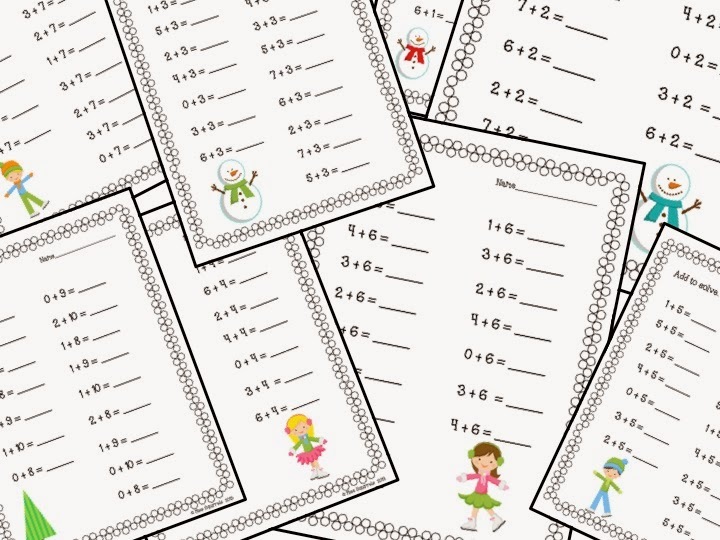 Students can use these in centers as they write and wipe with dry erase, too. 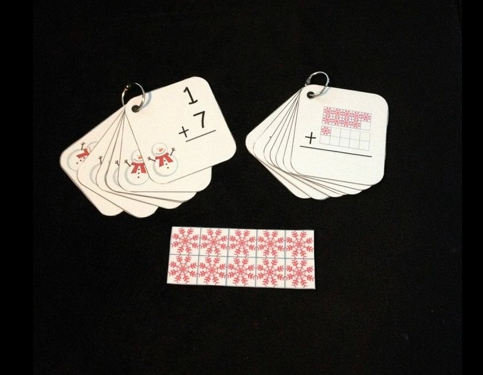 There are also a set of coordinating ten frame counters for each set of facts. They can use these mats to place their counters on or to check themselves if they are working alone. There are also practice pages that correspond with rings to have in math tubs! Anything that builds their fluency and is easy to get to is a winner in my book! Not to mention (but I will) that while they are great practice, they are also quick prep. 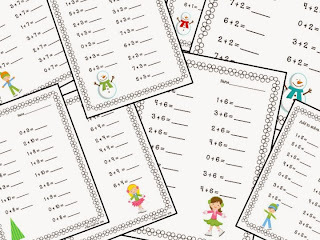 And while they are cute and fun for the holiday and winter, they are also ink-friendly! first three people who comment and and leave an email addy! I am sure my Thanksgiving Dinner will leave me lots of material for a great WTH Wednesday post- I hope yours does, too!!! 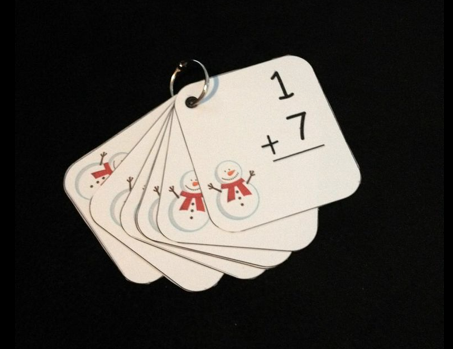 I love the idea of using them in the hallway. I think my kids would also love to whisper yell! I love the idea of practicing these in the hall. Thanks for the idea of keeping them on a hook by the door - that is genius! !